Manufacturer of : Expansion fasteners ,Bolt Nut , Screw , Rivets , and Washer etc. in SS , Hightensile, MS, Hot Dip ,Gi,Brass .Available in : Stainless Steel 304/316/L- A2/A4All type of test certificate available i.e., Material product and as required . We are offering our client an excellent quality range of High Tensile Fasteners. These High Tensile Fasteners are made from very high quality raw material which ensures high durability at its user end. 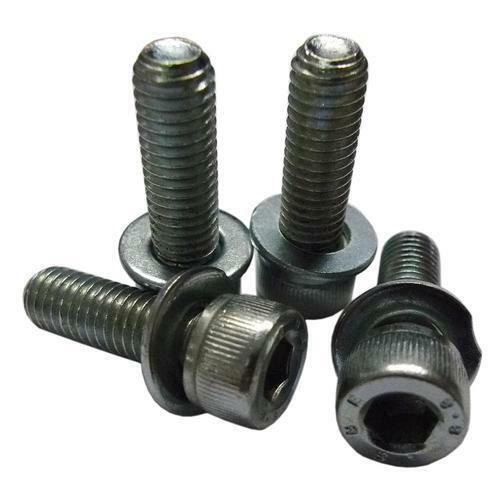 These fasteners are available in different specifications as per the application requirements of the clients. Our respected clients can avail these from us at economical prices. CANCO FASTENERS , is an Indian manufacturer of high quality fixings and fasteners products since the last 50 years. We have a variety of Nuts, Bolts, Washers, Screws, Thread bars, Clamps, Rivets, Steel Wire, Rope ,Screw Nails Raw Material of M.S. S.S 316, 304 grades and Brass. Our Products are well appreciated by Architects, Engineers and Cunsultants confirming the product Reliability and Durability. Canco fixings uses helps Saving money, Man Power & time. Canco Fasteners Processes all its Raw Material supported with test reports. All production is done on ISO standards covered by Engineers qualified vendors and suppliers. Canco Fasteners is committed in delivery & quality. Canco Fasteners is well accredited World Wide. We're active locally and have widespread international presence as well. Canco Fasteners is a trusted name in more than 70 countries in Asia, Europe, North America , South America, Africa, Middle-east, Australia. For More details cancofastners.com. Associating with world leaders in technical and marketing tie ups have made Canco frontunners in Europe, America, Africa and Asia , Gulf , Middle East. Committed and highly competent research and development team has made Canco , make a mark for itself. Constant innovations. Stringent quality control, precision modules are a way of life at Canco to give you the best in fixing solutions. Canco Value among the clients Our satisfaction services become us unique and repotted in the market to customized various services we do business not only in India we have many clients from overseas such are Poland, Ukraine , Bulgaria ,Czech Republic , Russia , Slovakia , Estonia , Lithuania, Latvia, United States and United Kingdom, portugal, Germany, France, Spain, Peru, South Africa, Doha, California.